The easiest and most productive QuickBooks ever is now here! QuickBooks 2019 offers new features and improvements based on what you need to run your growing business. 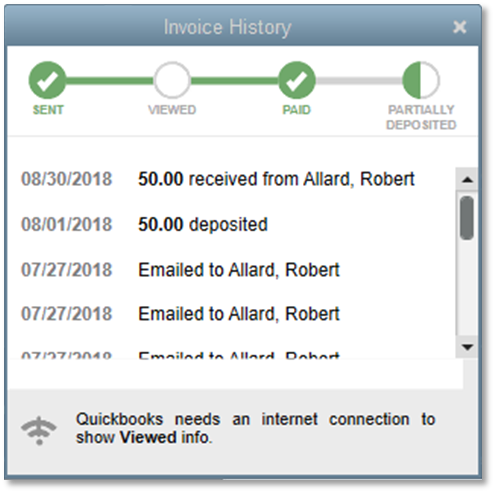 Read through this article to know more about QuickBooks Desktop Pro/Premier 2019, QuickBooks Desktop Enterprise 19.0, and QuickBooks Desktop Payroll. Go to the Reports menu, then select Inventory. Select either Inventory Valuation Summary, Inventory Valuation Summary by Site, or Inventory Valuation Detail. Mark Show Inactive Inventory Items. 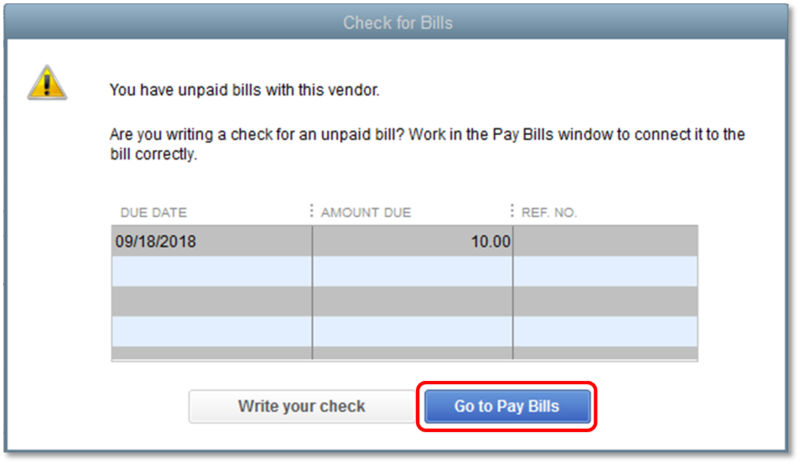 QuickBooks 2019 promptly guides you to the Pay Bills window when you have open bills and try to write checks. This prevents unintentionally creating a check to pay for bills. Sent: Your invoice was sent using one of the email options in QuickBooks. Viewed: Your customer already received and opened the email. Note that you would only see this status if you are connected to the internet. Also, this may not appear if the customer’s email doesn't auto-allow image downloads. Paid: You entered a payment for Invoice in QuickBooks. The history displays partial and full payments. Deposited: You record a payment deposit in QuickBooks. No need to go through multiple steps when transferring credits from one customer job to another. With QuickBooks 2019, you can now transfer credits in just a few clicks. To learn more, see Transfer and apply a customer credit from one job to another. Save a lot of time and effort by upgrading to the latest version with just a few clicks! This feature will download, install, and register QuickBooks Desktop, and will update your most recent company files with minimal effort on your part. For steps and requirements, refer to Use Easy Upgrade for QuickBooks. Note that this is available for QuickBooks Plus and Enterprise subscribers. With the enhanced IIF import, you are sure your imported data is accurate. QuickBooks checks your data before importing and creates a report of issues found with the corresponding fixes before re-import. To know more about this feature, see Export or import IIF files. In partnership with Job Access With Speech (JAWS), we now provide better access for the visually impaired. There is clarity by announcing window titles and fields as customers hover or select them. Links are now also converted to buttons for easier access for the customer. For specifics, see Accessibility features of Intuit products. Note: This improved feature is only available to users who have JAWS installed on their devices and automatically works with QuickBooks. Want to condense your company file without deleting list elements or summarizing transactions? With the improved Data File Optimization, your file size is reduced by a certain percentage as it only remove the Audit Trail which makes up a large percentage of your file size. 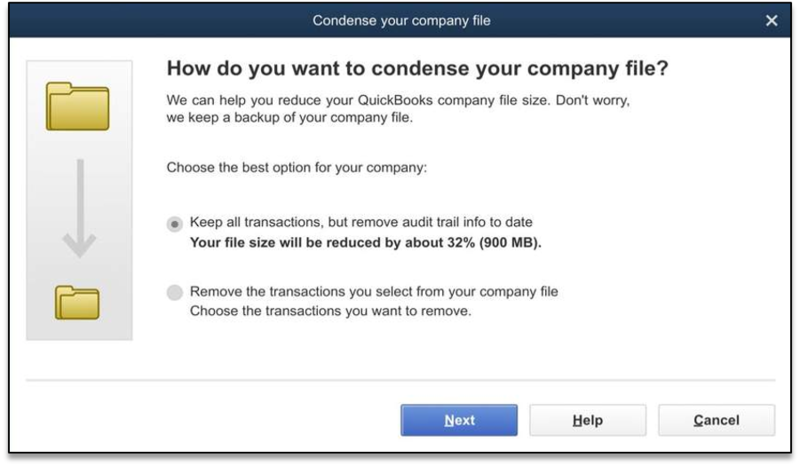 To know more how it works, see Use the Condense Data utility. For more information on this feature, see Move or reinstall QuickBooks Desktop to another computer. Protect your payroll and other sensitive information from unauthorized users. You can now set permissions to users who can view payroll transaction and reports. The Edit Role window also lets you know which areas give unrestricted view and access to payroll information. The latest QuickBooks Desktop Enterprise gives you a single place to manage all aspects of fulfilling sales orders, including the three major steps: pick, pack, and ship. The enhanced sales order fulfillment process is flexible, and can be customized to suit your unique business needs. If an employee does not have enough accrued sick or vacation time for the time to be paid on a paycheck, QuickBooks shows a warning. The options for methods to calculate sick and vacation time expands to comply with some states requirements (e.g. to set a limit for the maximum sick or vacation time accrues at any time, not just in the year). The pay stub includes more detail for the employee about their accrued, used, and available sick and vacation time. For more information, see Sick Pay Maximums.